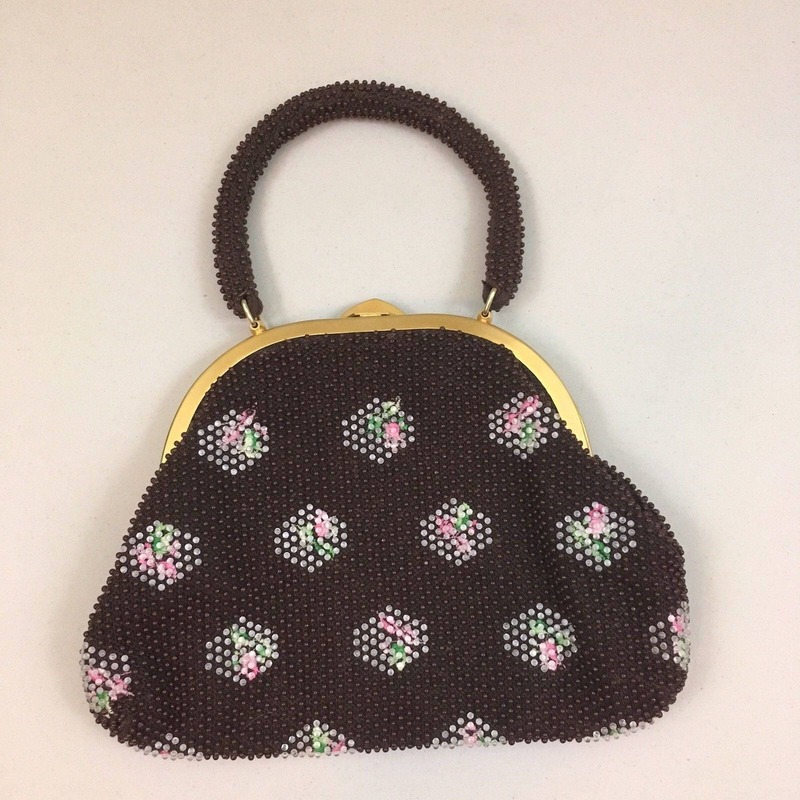 Lovely vintage brown bag with embroidered pink and green flowers and clear Lucite beading overly handbag by Stylecraft Miami. Fabulous shape! Interspersed white beads in a diamond shape. 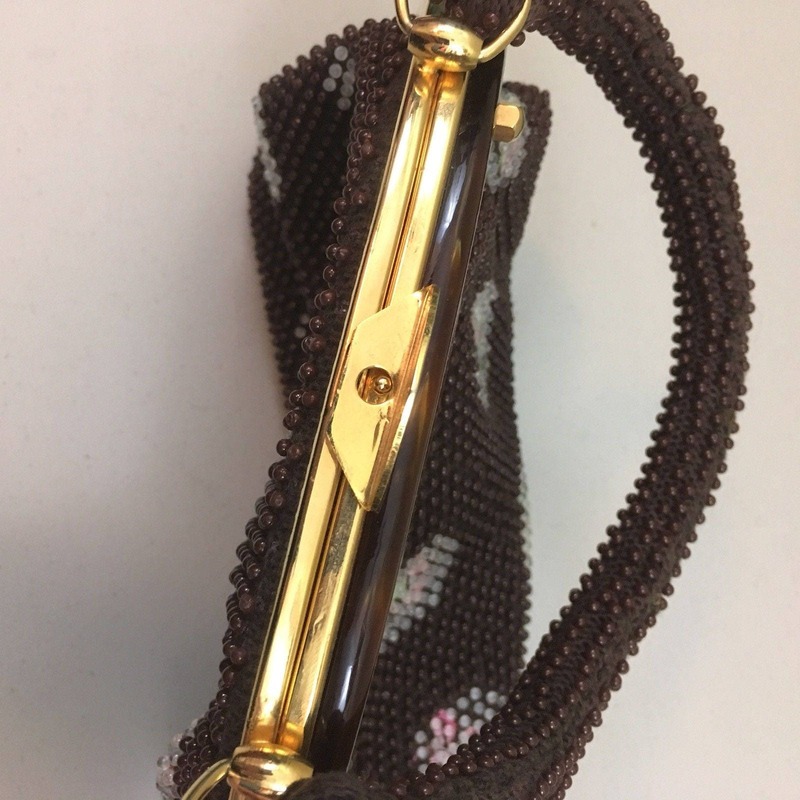 Matching brown beaded handle with a 5 inch drop. Gold tone metal frame with a caramel color Lucite trim. Gold tone metal fold over catch. 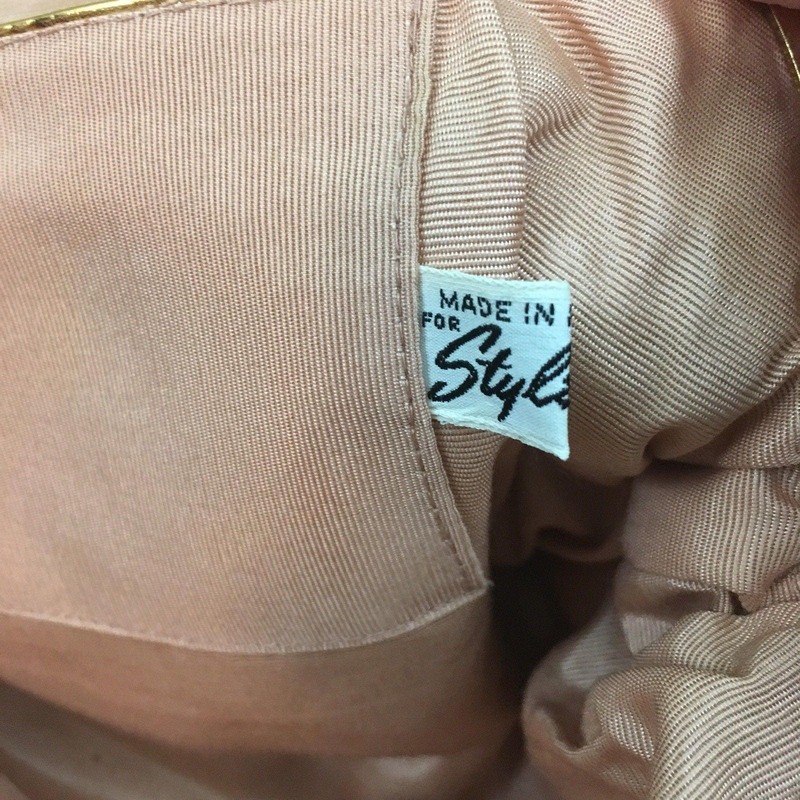 Pink polyester satin interior with sewn-in Stylecraft label. One side pocket. 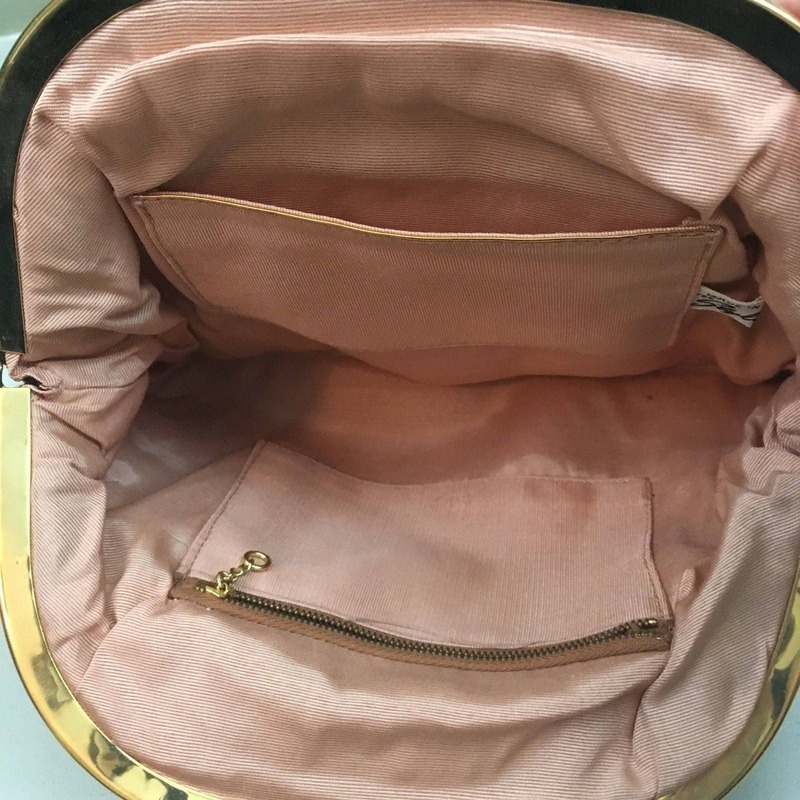 One metal zippered pocket. Roomy for your essentials. Great date or special event bag! Dimensions: 11 inches wide x 7 inches tall. 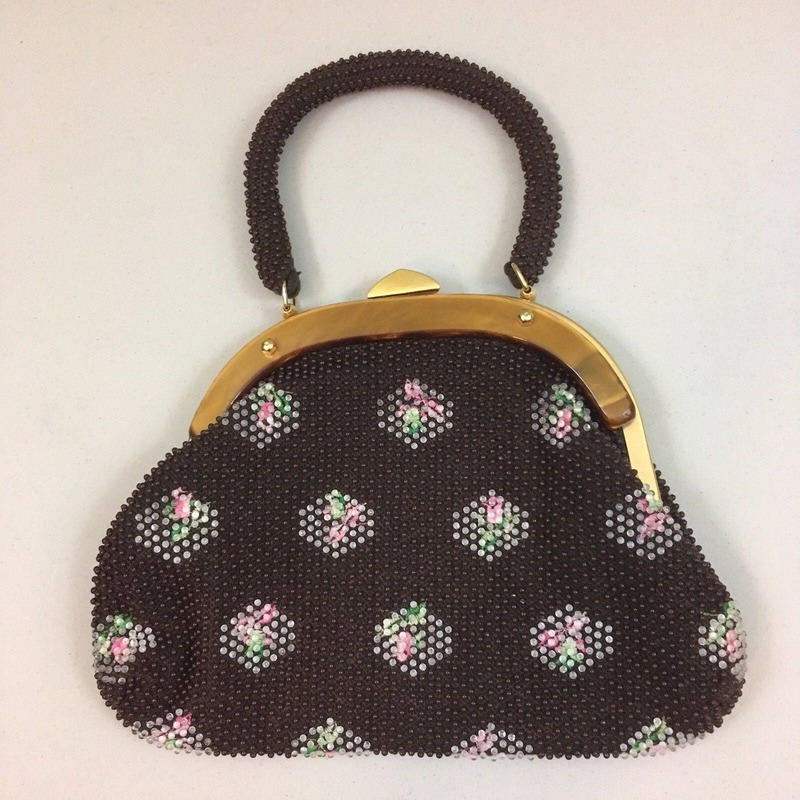 A mint-condition vintage handbag.